©1866 Public Domain (P)2007 Blackstone Audio, Inc. I didn't realize Anthony Heald was such a brilliant audiobook reader; now that I know, I'll be on the lookout for more titles from him in the future. He takes what I had always thought was a fairly stodgy translation and makes it jump off the page (or in my case, out of the iPod). It's a breathless performance, all the characters clearly differentiated, the narration moving forward rapidly, the novel closing in on the climax of the story with almost unbearable tension. There are at least three hearty laughers in this novel, and in Heald's reading we can tell them all apart instantly. In this case the tension is moral rather than physical. It's a murder mystery of sorts, but one where we see (and FEEL) the crime being committed: Dostoevsky and Heald put us inside Raskolnikov's mind before, during, and after the double murder at the center of the plot. In this case the problem that drives the story isn't whether the police will catch the killer -- although the novel features a clever and persistent detective worthy of the best of the genre -- but whether the killer can be brought to a point where he has the moral courage to confess. It's a disturbing book, not because of Raskolnikov's minutely-described act of violence, but because of Dostoevsky's pitiless, unblinking gaze at poverty. I can't remember the last time a description of hunger and hopelessness had such a visceral effect on me. I kept wanting to grab Raskolnikov by the collar and scream "EAT SOMETHING!!" First rate on all counts. Highly recommended. WOW. 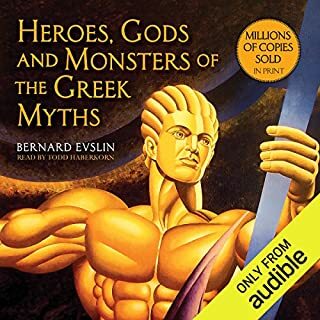 This is the best audiobook I've ever listened to. The narrator, Anthony Heald, reads like he is telling the story from his own head, like it's something that happened to him. Amazing. A very very enjoyable listen and highly recommended for all. I'll definitely try to check other books read by this guy. If you could sum up Crime and Punishment in three words, what would they be? I loved the plot and the characters but the narration by Anthony Heald was so outstanding that it's hard to even describe it other than saying it was hypnotizing. More than 20 hours long and I couldn't wait to get back to it each time I had to leave it. Mr. Heald was absolutely brilliant in his smooth transition from character to character and his pronunciation of those long Russian names. Hard to choose...I guess the scenes in which Raskalnakov meditated on his crime and the various transitions he went through from shock to believing he had no fault and a complete lack of guilt. The audio book was 20 hours long...no one sitting reading here, nor should it be rushed. Murder...torment...retribution...resurrection. These are the themes of Dostoyevsky's CRIME AND PUNISHMENT. And this is a book I have avoided reading for decades, fearing it would be dull and difficult to comprehend. I was wrong! This is a magnificent epic of life prior to the Russian Revolution and one man's mistake. The descriptions of life in Russia at that time are precise and heart-wrenching. The poverty, the squalor, the inability to rise above your standing in life and, worst of all, the descriptions of starving children being forced to "dance" for a few rubles so their parents and siblings won't starve. It's a bleak situation and yet the narrative and characters are often amusing and always fascinating, despite their lot. 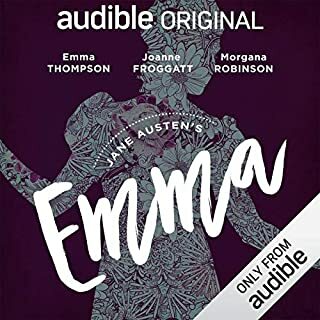 I listened to the audio book version and Anthony Heald, the narrator on this particular version, was absolutely superb. If there were Oscars for book narration, he should have received one for this. He did every character, including the female ones, and you never had to guess who was speaking the dialogue because he adapted his voice so smoothly from one character to another. Simply outstanding! Anthony Heald did not so much read this book, as inhabit and bring to life each character as a distinct individual. It is an amazing performance. This narrator is simply awesome! His voices are clear and varied, and for one character he even manages to speak accompanied by a consumptive cough! What can I say for the content other than that they're called classics for a reason. Everything means something, and there is beauty in such resolution. This was a total surprise for one who avoided Russian literature in high school and college. It was so absorbing and accessible. 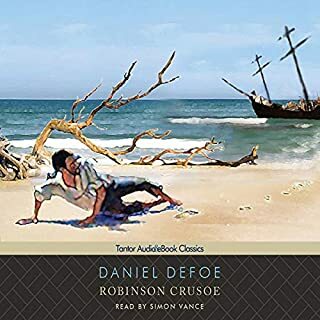 This narrator, Anthony Heald, was the best I have had the pleasure of listening to in my eight years of listening to Audible. I am now going to search for his other works, then try some more Dostoevsky! Crime & Punishment is near or at the top of my list.. I wanted it in an audiobook, but was leery about quality. This version is superb. Anthony Heald is awesome not only in reading & characterization, but also in pacing and tone. His voice modulation is never too loud or too soft & he always is clearly understandable. The result is a relentless wild ride through emotion, action, philosophy and analysis. I really enjoyed the way Heald captured Raskolnikov's inner torture and frazzled thoughts. All of the male characters were spot on. I was a bit annoyed by the female voices, particularly Sonya's, but that's a minor issue. 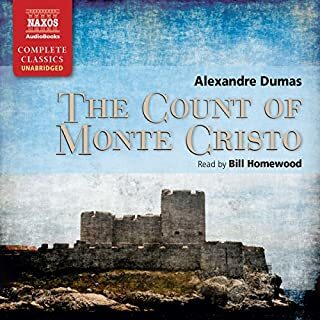 I chose this reading because it did not have a mournful British reader and was a bit speedier than the other readers of C and P I listened to on Audible. I was glad I did. Heald's inflection gave a nice interpretation of the novel and the voices he performed helped me keep track of all of the characters (and the pronunciation of their names). I can't believe this was written so long ago. Seems like something that would come out right now. This is a dark, intense novel. The reader does an excellent job making it seem alive and interesting. I never read the book so I can't compare the reading to the actual writing by Dostoevky. It is quite lengthy. I kept wondering what else could happen to make the story so long. I was not disappointed. I listened to several of the available samples before choosing this particular recording. People seem to get quite heated about which translations are the better, and of course I'm no expert, but my personal opinion is that this version flows along really well and is not at all stilted; in fact, most of the time I forgot I was listening to a translation. The story itself is really gripping and compulsive, much of it dealing with the almost unbearable mental torment suffered by the central character. Anthony Heald reads the book with great expression and feeling and I found myself totally absorbed as I listened. My only slight difficulty (which would have been the same whichever recording I'd chosen) was that occasionally I got a bit mixed up between the many similar sounding (to me) Russian names: I therefore recommend not leaving too long between listening sessions, as without the physical book there it's hard to go back and check who's who when you've forgotton. Crime and Punishment is such a dark and intense book, with a reputation arguably with being difficult which I'm sure puts many people off. 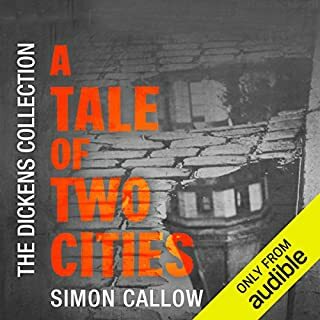 Perhaps, however, the best way to experience it is an audiobook; much of the book comprises dialogue or inner monologue, so a good narrator can really make sense of the story and bring the book alive. 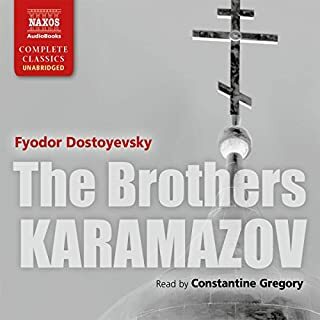 And indeed Anthony Heal does a marvellous job in this audio-version; he reads at quite a pace, but always clearly, and this in fact suits Dostoyevsky's style very well. He also paints the large cast of complex characters in a convincing and vivid way, and is assured with the pronunciation of Russian names. I have previously listened to the George Guidall reading, which is truly excellent, but this version is just as good. One minor beef: sound quality was not ideal - quite heavy in the base registry - surprising with such a modern recording; dont think it was my headphones, but try a sample first if you are thinkng of buying the book, though I wouldn't let this put you off. I really enjoyed this. I knew the story from various adaptions and this full length reading didn't disappoint. The narration was excellent. It was slow enough and each voice was distinct enough that the russian names didn't confuse. 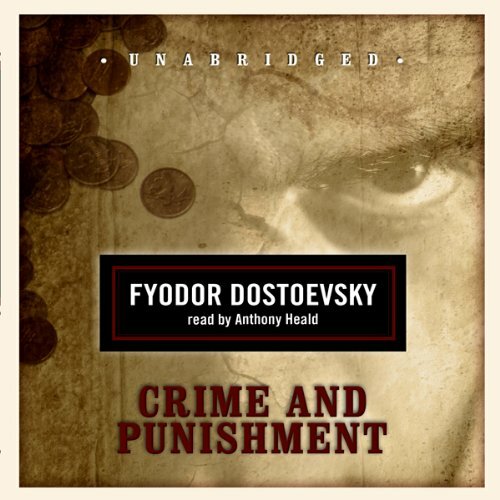 What made the experience of listening to Crime and Punishment the most enjoyable? The pacing of the narrator's voice is timed impeccably with the mood of the story and the subtleties and idiosyncrasies and just everything was done beautifully. The narration was flawless. I hope every audiobook experience to echo this one. Words cannot convey the depth of my praise for this. Please do yourself a favour and do whatever necessary to read this timeless classic. It will change your definition of brilliance for the better, and raise your standards of fiction immeasurably. I had been encouraged by a Russian Orthodox Priest to read Crime & Punishment so was delighted to find it in the Audible listing. I was totally drawn into the story by the way Anthony Heald narrated it and couldn't wait for the next opportunity to continue listening. In some way this is a dark story but it is an amazing study of humanity under pressure. I highly recommend this Russian Classic by one or Russia's great authors. Did not like or agree with the ending though and certainly don’t believe that the main character was punished enough for his crime (felt cheated) which to some extend makes me question the authors character. Anthony Heald’s reading is simply superb. His vocal range not only brought all the numerous personalities to life, male or female, but also made identifying each one rather easy. He is so good in fact that I have my eye on another one of his narrations “fathers and sons” by Turgenev. Where to begin? Literary science and art and everything in-between. Read with fervour by Anthony Heald. The narration is nuanced and superb. The story is strong and suspenseful. Characters are detailed and unforgettable. Life and thought are peeled back layer after layer. There are scenes of horror and comic brilliance. Stunning. Enhance with a text and its a great combination for in-depth appreciation. Amazing story, Dostoevsky is a genius and although the main message of this book may be disputed, this will forever be a work of literary art and a beautiful insight into some psychological concepts. the reading is a bit monotonous with interjected excitement, a little like the story. a ride into the spiralling personal hell of a murderer. This book looks into psychology, effects and mentally of crime. Great book and history aswell.